Friends, family and fellow astronauts gathered in a private funeral ceremony in Ohio. 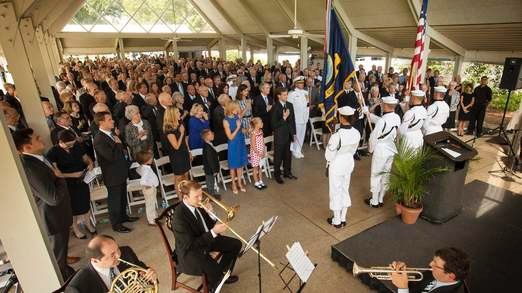 Reflecting Neil Armstrong’s private nature, the late-morning funeral was by invitation only at the exclusive Camargo Club. A public memorial is planned for September 12 in Washington DC. 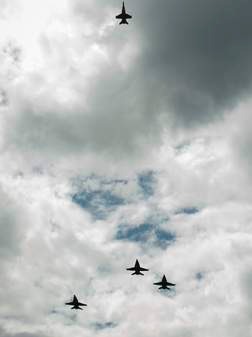 Four US Navy F-18 Hornet Fighter Jets flew over in the traditional “missing man” formation. His wife Carol, two sons Rick and Mark, and ten grandchildren survive Armstrong. Fellow lunar astronauts James Lovell and Eugene Cernan helped launch a charity in Armstrong’s memory at the Cincinnati Children’s Hospital Medical Centre. Armstrong’s family has requested donations be made to the charity, in lieu of flowers. Neil Armstrong, NASA Astronaut and Commander of Apollo 11 passed away on 25 August 2012, he was 82 years old. Armstrong underwent a heart-bypass surgery earlier this month, to relieve blocked coronary arteries. 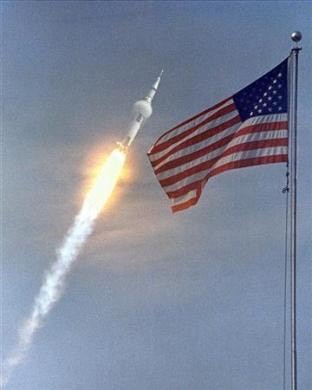 Apollo 11 mission launched mankind on its first step to the stars and placed the first human to step on the moon on 20 July, 1969. As he stepped on the moon's dusty surface, Armstrong said the immortal words: "That's one small step for (a) man, one giant leap for mankind." 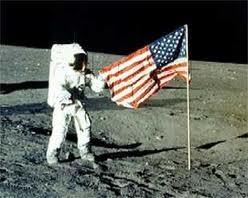 Neil Armstrong was a the quintessential Astronaut. Unlike many celebrities of today, he did not exploit or revel in his achievements. A quiet and private man, his unassuming appearance did not advertise his success and impact on the American Space Program. I believe Neil Armstrong embodies the term of Renaissance Man. He did not seek fame, yet for this reluctant celebrity, stardom found him. I was fortunate to have eaten lunch with Neil Armstrong in April 2004. As I chatted with him across the table, I couldn't help recalling the conversation between my wife and I one week earlier. We were channel surfing and came across the last 15 minutes of the Miss America pageant. Miss Oklahoma was being quizzed during the question and answer segment, when the host asked her, "If you could meet anyone in history, past or present, whom would you chose and why?" She flashed a winning smile and answered immediately, "why that is easy, Justin Timberlake. He could teach me dance moves." Justin Timberlake? I fell off of the couch, looked at my wife saying, "You have to be kidding? Justin Timberlake? She could have named anyone in history. I thought she would say Jesus Christ, Marco Polo, Neil Armstrong or Buzz Aldren. Anyone but Timberlake." While Justin is a good dancer, he doesn't hold the same significance toward mankind. Little did I know one week later, I would be sitting down at a table with Neil, casually talking about world events. Neil Armstrong and Buzz Aldren were my childhood heroes. The world will remember and honour their achievments for mankind long after Justin and Miss Oklahoma have faded from our consciousness. Rest in peace Neil. Phyllis Diller passed away today at the ripe age of 95. She died in her sleep surrounded by her family on August 20, 2012 in her home. According to the county coroner, the cause of death has not been determined. Not determined? I am not a medical professional; however, if you make it to age 95 before going to your reward, I am going to assume you died of "natural causes." 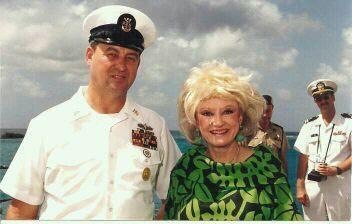 My father, Richard Twigg, was the Command Master Chief of USS Richmond K. Turner (CG-20) and he ran into Phyllis Diller in Mombasa, Keyna. The ship had made a Port O' Call in Mombasa, allowing the sailers a well deserved respite. My father invited her to have lunch onboard to meet the sailors on duty and to see the ship. 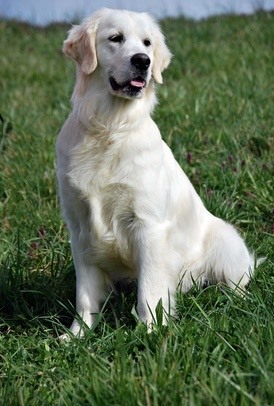 When Phyllis showed up on board with dad, the Commanding Office and members of his wardroom tried to abscond with her to give a dog-and-pony show. Phyllis looked the Captain in his eyes, and told the skipper, "I came here to see real men honey, I think I'll stick with the Master Chief." She had brass and loved the troops.